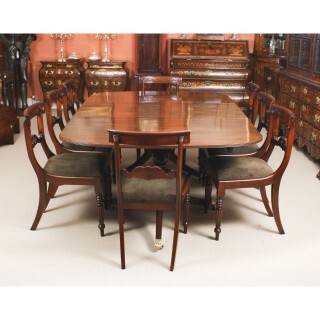 This is an elegant dining set comprising an antique George III Regency Period dining table, Circa 1820 in date, with a fabulous set of eight bespoke Regency style dining chairs. 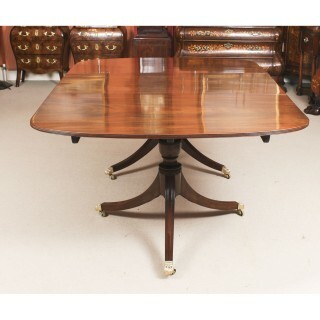 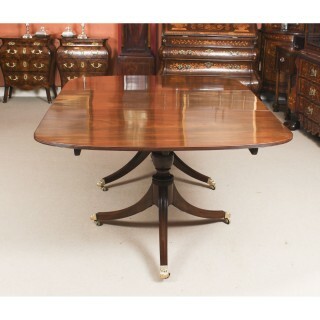 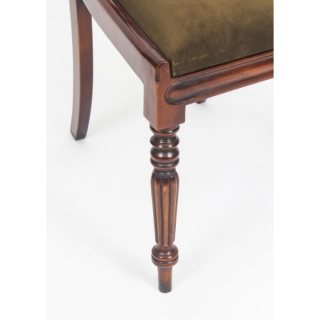 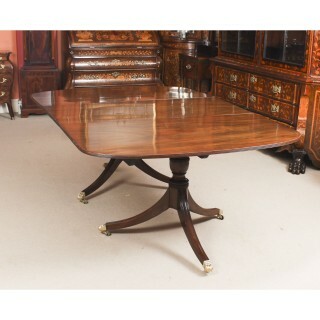 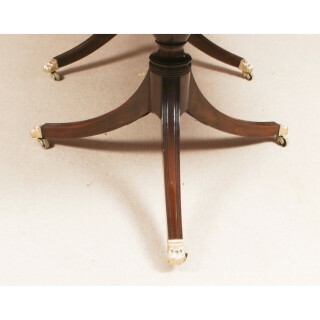 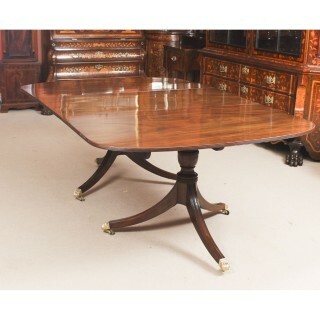 The table has one additional leaf and is raised on twin “gun barrel” turned columns on quadruple reeded swept leg bases which are fitted with brass claw feet and castors. 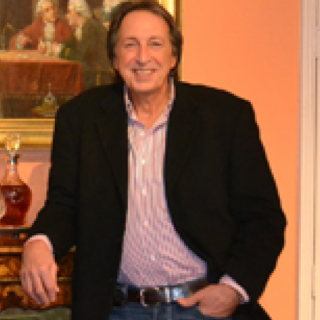 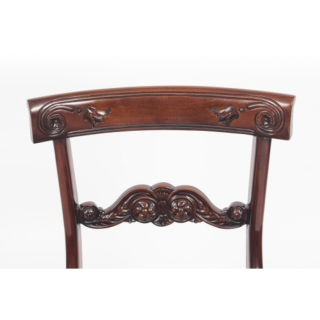 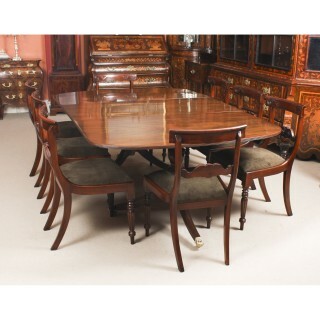 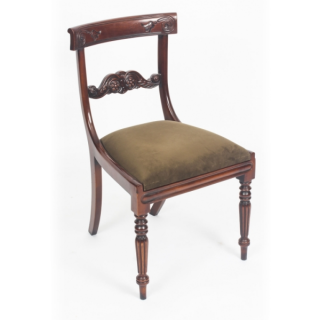 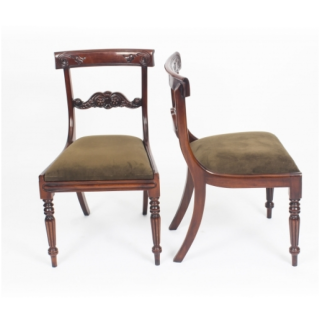 The besooke English-made set of eight Regency style dining chairs have been masterfully hand crafted in beautiful solid flame mahogany throughout and the finish and attention to detail on display are truly breathtaking. 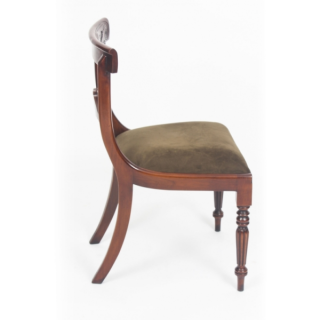 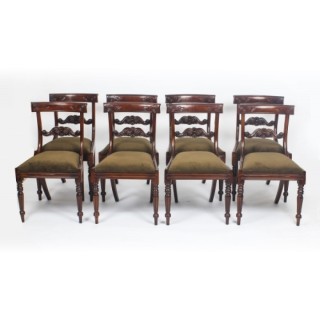 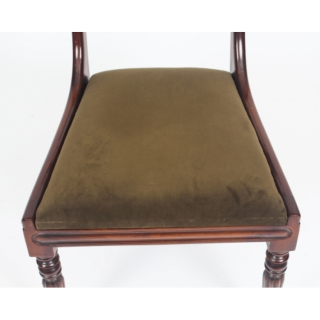 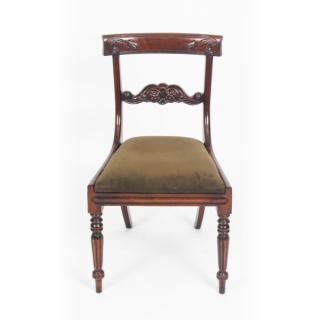 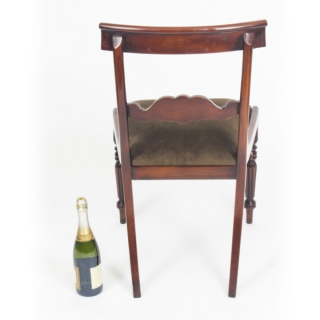 The set comprises eight side chairs, all of which feature an attractive bar back design with hand carved decoration and ‘drop in’ seats that are upholstered in the finest olive green suede effect fabric. 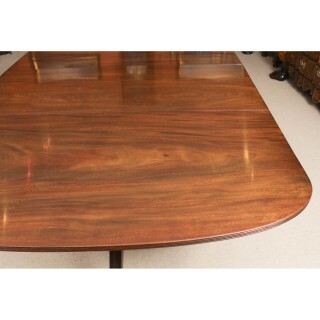 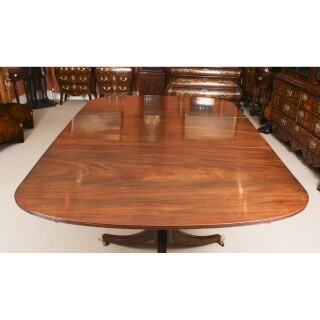 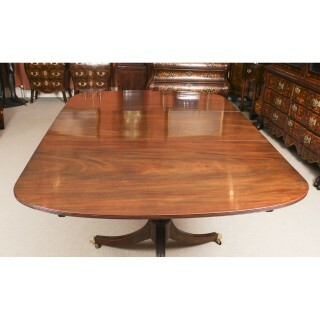 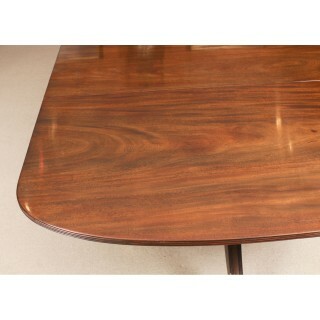 In excellent condition the table having been beautifully cleaned and waxed and the chairs upholstered and polished in our workshops, please see photos for confirmation.